TEMPE, Ariz. – Matt Shaughnessy sat in front of his locker Thursday afternoon waiting for questions. Eight weeks after he tore the meniscus in his left knee at Denver, the Arizona Cardinals outside linebacker was ready to return from the injured reserve/designated-to-return list, and he wanted to talk all about it. Shaughnessy has quietly become a major cog in Arizona’s run defense during his two years in Arizona. He doesn’t have the name of a Darnell Dockett or the size of a Calais Campbell, but -- especially this season -- Shaughnessy has been the difference in Arizona stopping the run. Without him for the past eight games, Arizona is allowing 18.8 more yards per game than with him for the first four, according to ESPN Stats & Information. Offenses are averaging 4 yards per carry since Week 6. They averaged just 3.01 during Arizona’s first four games. Since Shaughnessy went down, the Cardinals gave up more than 100 yards to three teams and allowed Atlanta’s Steven Jackson to become the first back to run for at least 100 yards against them since Week 6 of last season. Shaughnessy’s return couldn’t have come at a better time. On Sunday, the Cardinals host Kansas City’s Jamaal Charles, who’s ninth in the NFL with 807 yards and third with eight rushing touchdowns. Arizona has slipped against the run since Drew Stanton took over as the Cardinals’ starting quarterback. They’re allowing 4.44 yards per rush in the past three weeks compared to 3.35 in their first nine games. At 6-foot-5 and 285 pounds, Shaughnessy has earned his checks stopping the run off the edge. Before he got hurt, offenses gained 28.9 percent of their yards outside the tackles. They ran off the edge for 43.2 percent of their yards after he got hurt. Charles prefers keeping his in between the tackles. Only 239 of his 807 yards this season have come outside. How Shaughnessy fits into the game plan has yet to be seen. As of Thursday night, he has yet to be activated off IR/DTR. But he’s been practicing for the past two weeks, albeit on the scout team, working to regain his football legs. He said he remembered most of the playbook. It took just a couple practices to regain what he lost. But his most challenging hurdle when he returned to the field wasn’t physically. It was mentally. Arizona won’t put Shaughnessy on a snap count Sunday, Bettcher said, but how much he plays will determine on the scheme. He’ll split reps with Sam Acho, Alex Okafor, Lorenzo Alexander and Marcus Benard. Alexander offered one solution: Give Shaughnessy some of the SAM snaps and rest Okafor so he can be more effective on third down. However he’s used, Shaughnessy will be ready to play -- he’s been itching to get on the field for the past three weeks. 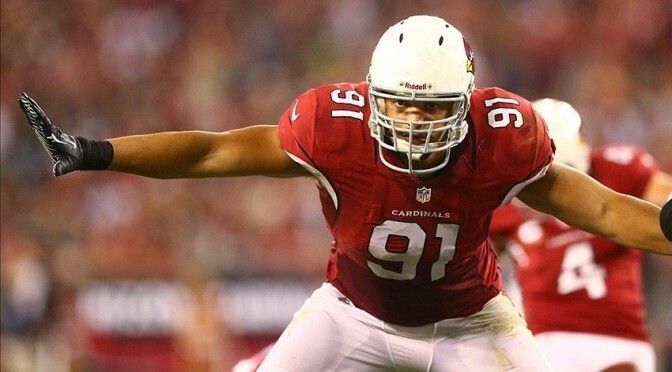 Adding him to a defense that has 18 sacks in its past four games give the Cardinals a new dynamic on defense, and will complement those sacks with an improved rush defense. “I think where you miss him the most is in the run game,” Bettcher said. “Matt does some things in the pass game where he collapses pockets. He is a powerful guy with violent hands and plays physical.